After waiting what felt like a lifetime, finally collected my GTS on Thursday and have been getting to know it over the last couple of days. I know I'm in the honeymoon period, and things can change over time, but I have to say that so far., it's FANTASTIC. I had a 991 C2S a few years ago, and this feels like a totally different car. The real stand out feature for me over the last few hundred miles is the steering. It feels really responsive and makes the car feel light on its toes. On the back roads of North Yorkshire I was on yesterday, the car was a complete weapon. Any corner I took, I could sense that the car wasn't even trying; you just know that in the right hands this thing could be seriously quick. I wasn't sure about the PASM Sport when ordering the car, but just a few corners was enough to convince me that it was the right choice. The conditions haven't been great today, so I gave it a wash (it got filthy on the way home picking it up) and tried to connect the Homelink up to my garage door. What an absolute pain. I'm sure there's knack to it, but whilst I've managed to get the car to acknowledge the signal, I can't get the door to budge even though I've tried to sync the systems (I think it's on a rolling code]. Anyway, a few pictures from the collection even though you know what a 911 looks like. I am interested to know how the new model with turbos sounds compared to the old engine ? Cheers guys. Always nice to get compliments. Chris (silvermilnec), it better last longer than the last one; I don't think my bank balance would stand the pressure it I change my mind in the next three months! 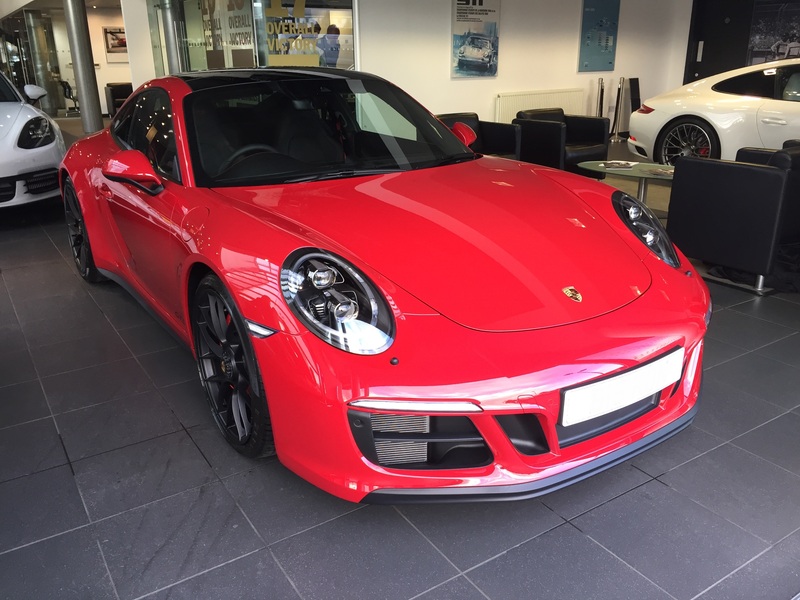 911TEL, correct, it's Carmine Red. I thinks it gorgeous, a really deep red which looks different depending on the lighting. My last 911 was Guards, and this is totally different in the metal - Guards can be a bit orangey in certain conditions. 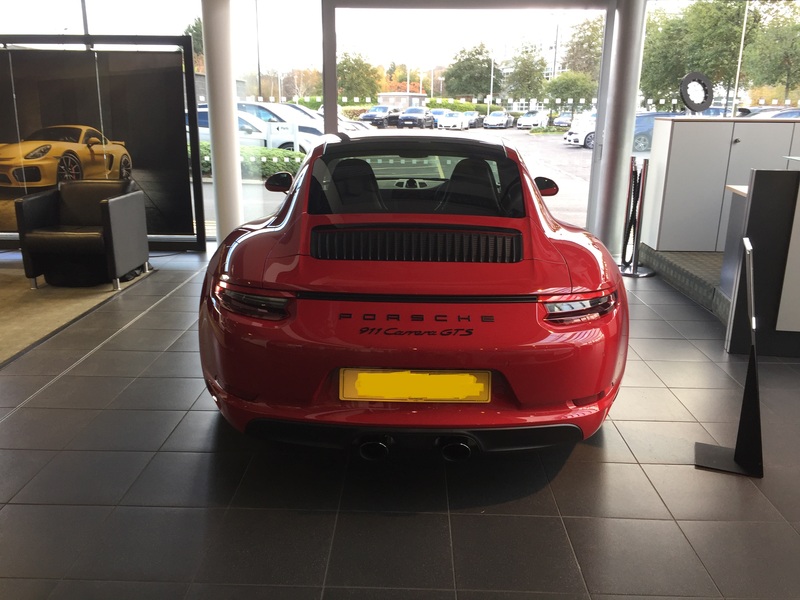 On the subject of sound, I think it sounds really good, and still very much a 911. I obviously haven't pushed it just yet, but I've driven a few 991.2's to know that at the top end they don't have that 'zing' that the old 3.8's have, but it's still a lovely sound, if slightly muted. My car immediately prior to this was BMW M4, and this sounds miles better. Then again, that's not saying much as one of the major disappointments with the M4 was the sound. On a recent trip to Italy with mates in 911's and Boxster's, in the tunnels around Lake Como on the way down to Monza, I had a bit of exhaust envy as they all sounded miles better than my flatulent BMW. If we do the trip next year, I'll get some of my credibility back! Now just got to get the front PPF'd and I'll bet set for winter. 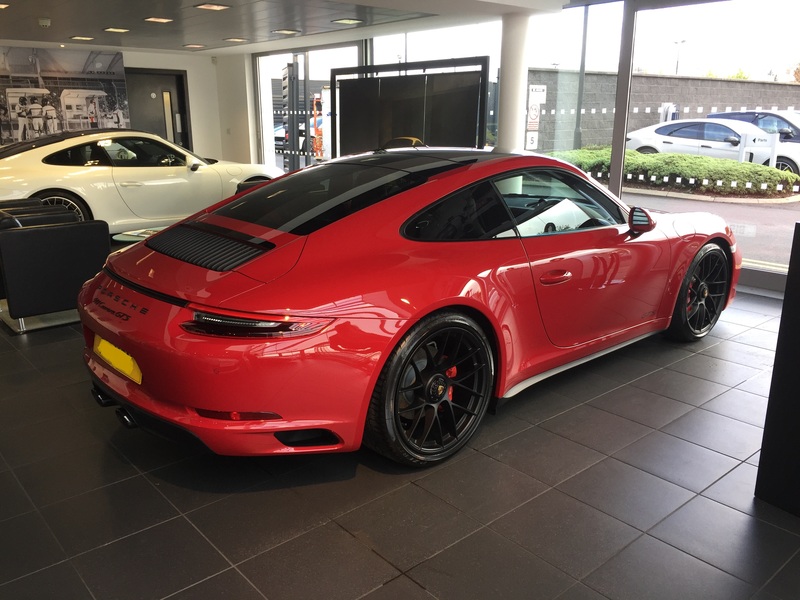 Congratulations Kiernan on the new 911 GTS, Please to see another manual but I am biased. I had my S4 covered in PPF film just a year ago, who is doing the install for you? I See you are in Yorkshire, I had CleanDetail at Doncaster do mine they are approved Xpel installers. I'm using Reep in Knaresborough. They were at the Porsche Festival at Lotherton Hall, and their work looked really good. Having done a bit more research on them, and after speaking to their people, I'm confident that they know what they're doing, so they seem like an excellent choice. I'll find out next week for sure. By the way, did I see your car at Lotherton Hall? It looks very similar to one that I saw in the car park. 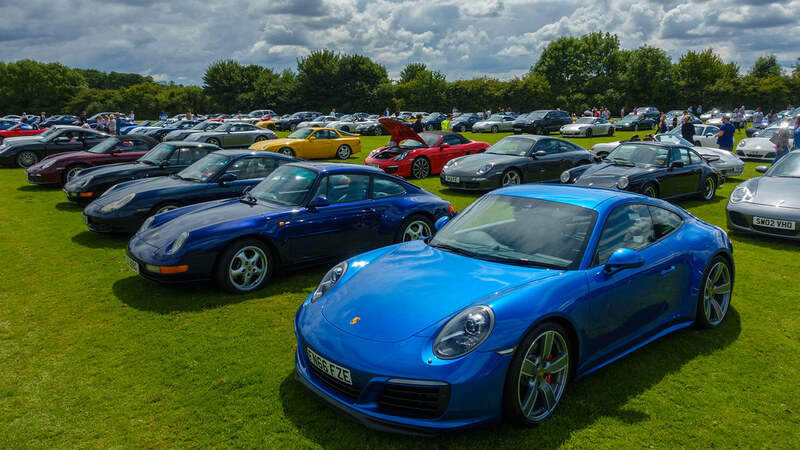 Yes I was there it must have been my 911.2 that you saw as I was the only Sapphire blue there, apart from a 911.2 Turbo! My car has a twin! Bar an extra digit on the boot and the painted air vents. Totally agree about how eager and confidence inspiring the car is through the bends. My '4' dives for apexes with real enthusiasm. The car just seems to say "go on, I can do a lot more than that". I can imagine a '2' being even keener to turn in. Not sure if its RWS, but the Chassis feels a huge step on from my 991.1 C4s. Better poise, more confidence inspiring, better turn in, better control over bumps. Actually just BETTER! Love the interior as well. The Alcantara seats are so comfortable. 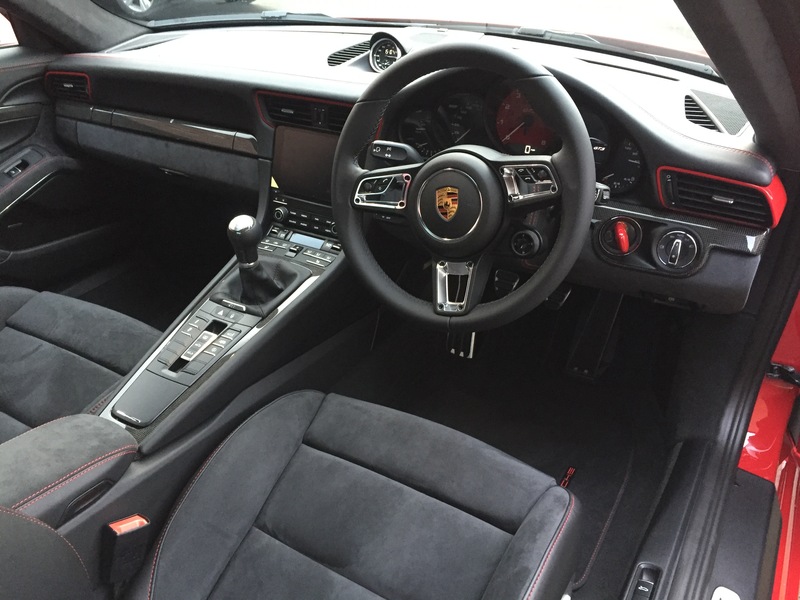 Loving them in this cold snap over cold leather... likewise the Alcantara wheel which is a joy to hold - especially with the heating turned on! Sounds 'soft', but I wouldn't want to give that heated steering wheel up now I've got used to it. No least because I don't have great circulation in my hands. The only option I could have skipped was the front axle lift, but even thought I don't really need it (bar one ramp in the car park at work which is negotiable but requires less than walking speed without the front raised) it makes me smile whenever I use it. 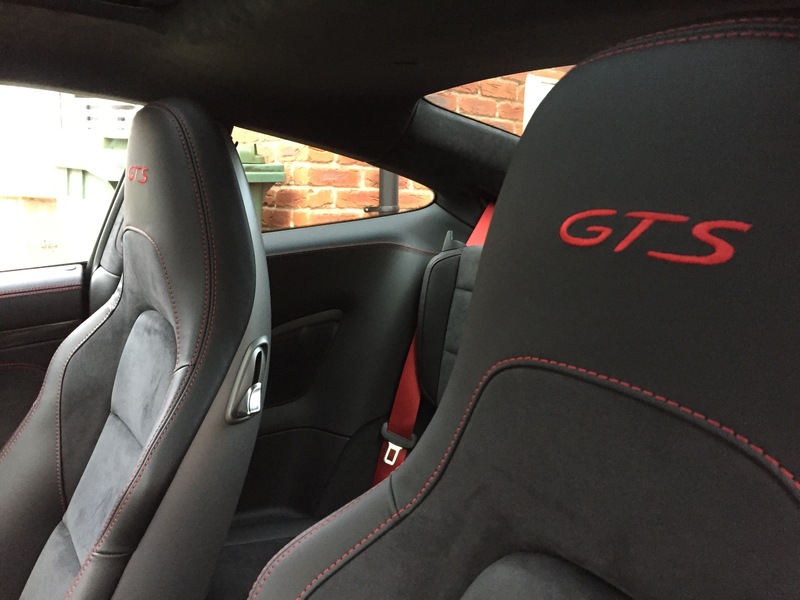 The GTS is just a brilliant package. PS - Did a lads weekend with a mate in his C2s a weekend or two ago. Brilliant fun. Will post some pics in a new thread.